The University of Central Lancashire has signed up to be a Partner Affiliate of the National Technician Development Centre. 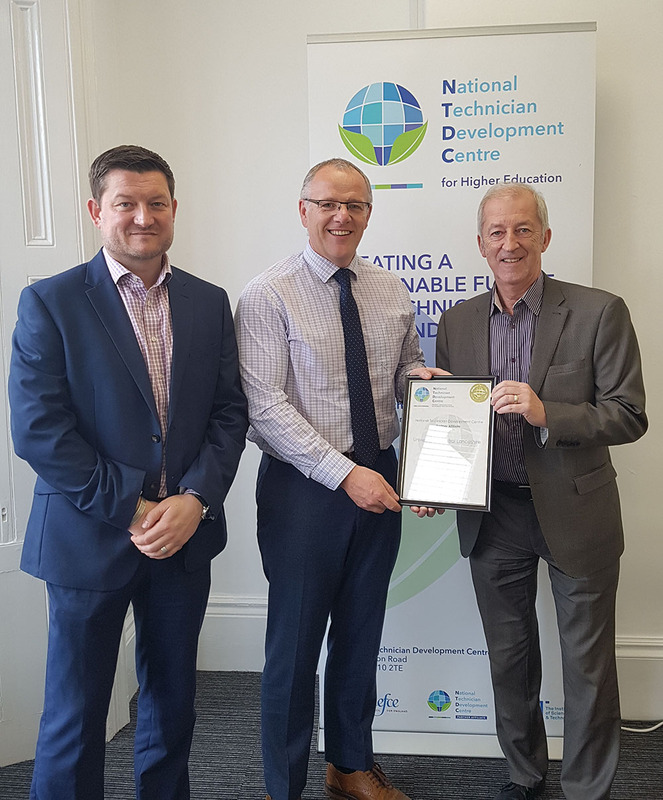 Terry Croft MBE, Director of the National Centre, presented Ian Carrie, Head of Learning and Technical Resources and Tony Dickson, Technical Manager, Scientific Support, with the certificate of partner-affiliateship, as shown in the photo above. “Partnering with the NTDC is key to us being ready and able to take on the challenges of supporting a diverse and rapidly changing landscape within HE, embracing change and innovation and continuously looking to improve the student and staff experience.